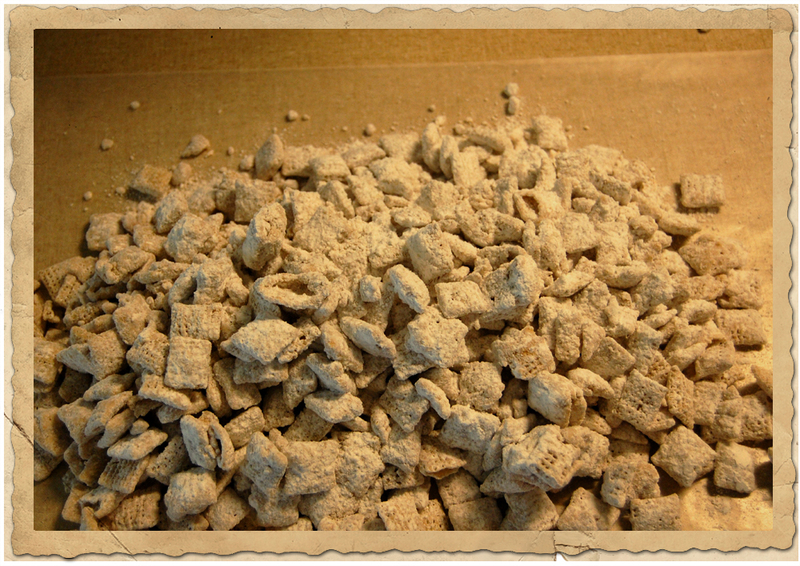 How I Make Puppy Chow - Nekaro & Co.
or Muddy Buddies or whatever you call them where you are from. 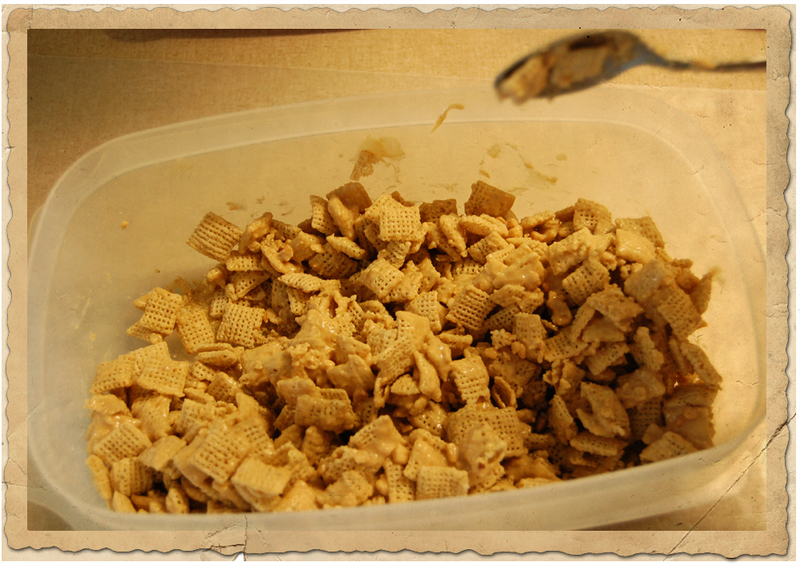 I bought a box of Chex the other day and this recipe was on the side, not to mention I saw it last week too. I said to myself, "Self, your kids are going to L-O-V-E to eat this when they come home from school in the afternoons." If your kids are anything like mine when they get home from school, they are starving when they walk in the door. It's so close to supper time that I don't want them eating a "meal", but a snack. Honestly, I think I may eat more of them than they do 'cause it's super yummy. I walk by, grab a handful, pop it in my mouth and travel on my merry way. Upon looking around my kitchen, I realized I had the ingredients. Well, I had MY ingredients for them. 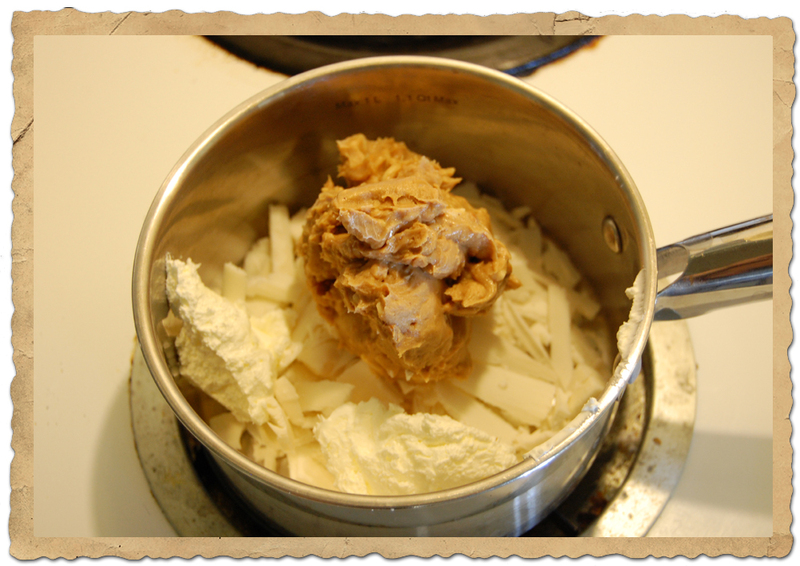 White chocolate instead of chocolate chips, extra crunchy peanut butter instead of regular. 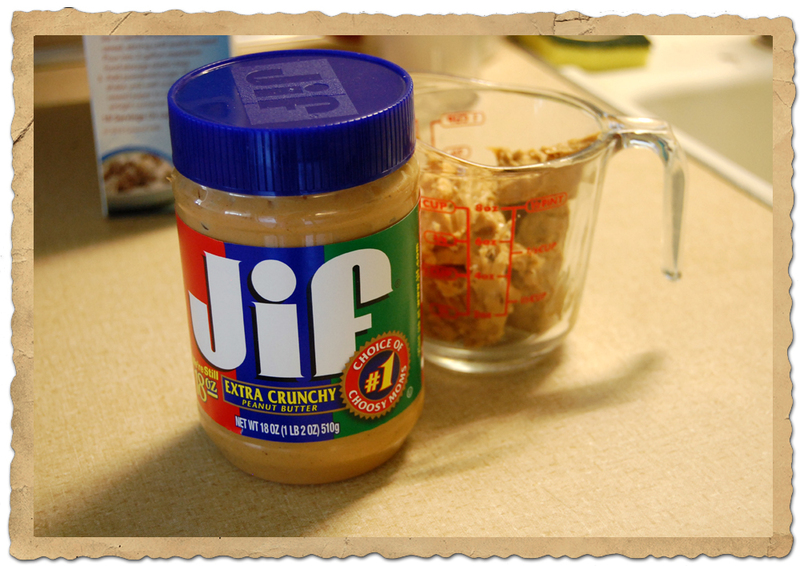 The crunchy PB has little bits of peanuts so you get an extra little crunch with your chow. I was right about the kids loving it. So much so that I had to make some more! I thought I'd add it to the recipes since I haven't shared any new recipes lately. You can go to the Chex website and use the exact measurements for their ingredients or you can wing it, like I did. Put the peanut butter, chocolate (I used almond bark), and butter in a 1 qt. sauce pan. 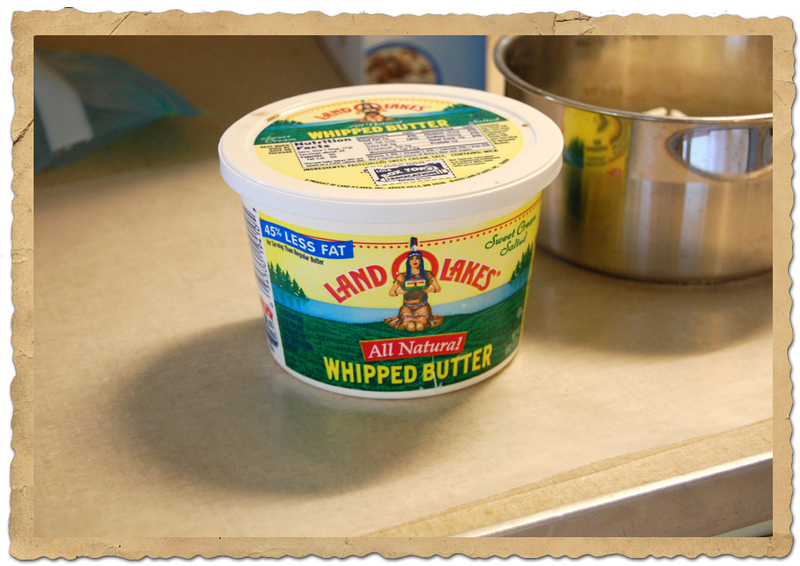 Melt and blend them together over low heat, be sure to stir consistently so it doesn't scorch. Pour mixture over your cereal. I only used about 5 cups of cereal and the recipe calls for 9 cups. There really is so many different ways to change up this recipe. I contemplated adding some raisins to the mix, but I realized I was out at the last minute. 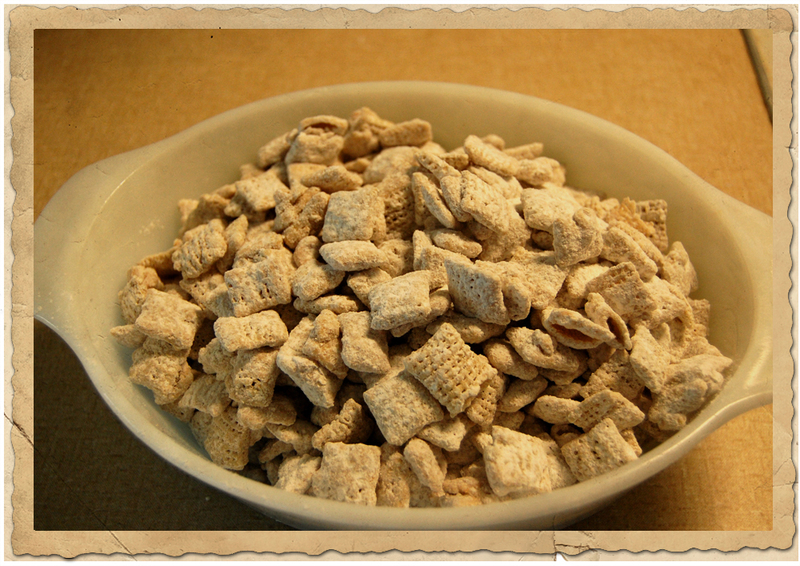 Fold in the cereal until it's well coated, then add your powdered sugar. I used a large Rubbermaid container. Put the top on (or seal your bag) and shake it girl, shake it!!! Once it's all coated with sugary goodness, spread it out on some wax paper so it can cool off a bit. Then put it in any ol' container you can find! You really should put it in a seal-able container so it doesn't get stale, however, it goes so quickly in our house that I don't even bother. -In a 1 qt. 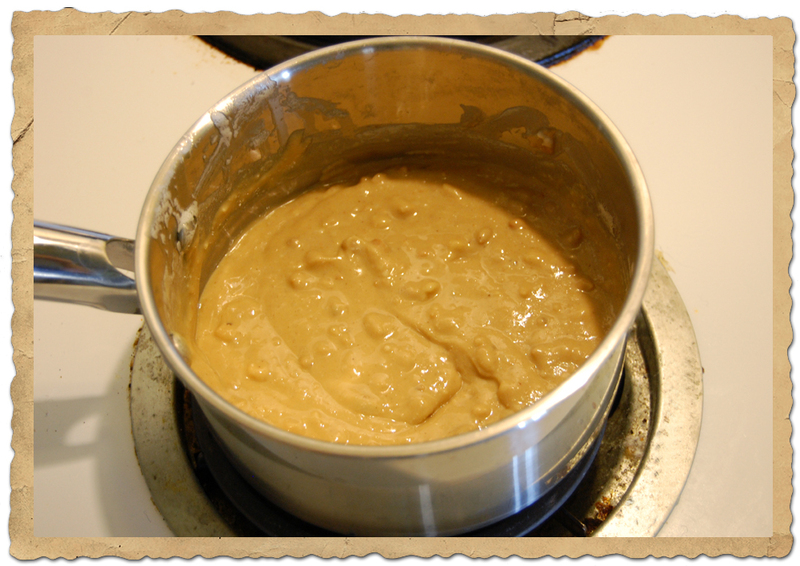 sauce pan, add peanut butter, chocolate chips, and butter. Warm over low heat while stirring. Once it's all incorporated, add vanilla. 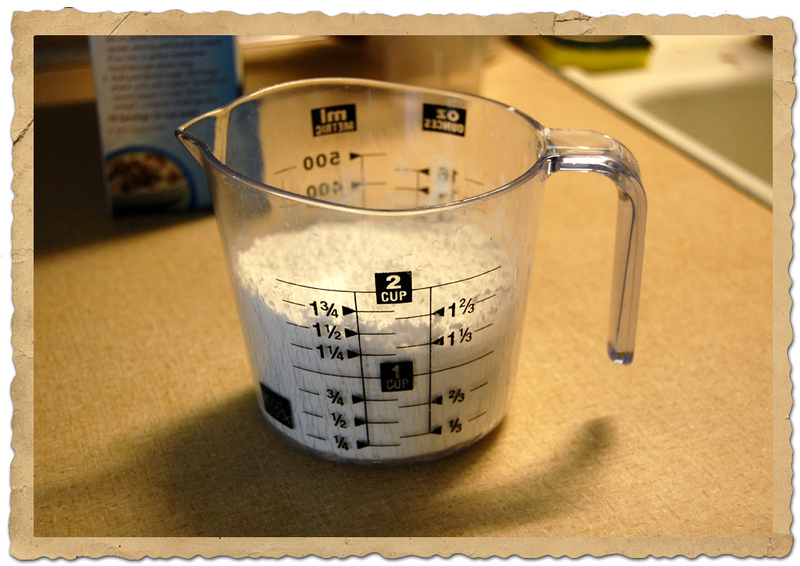 -Pour mixture over cereal and blend well. 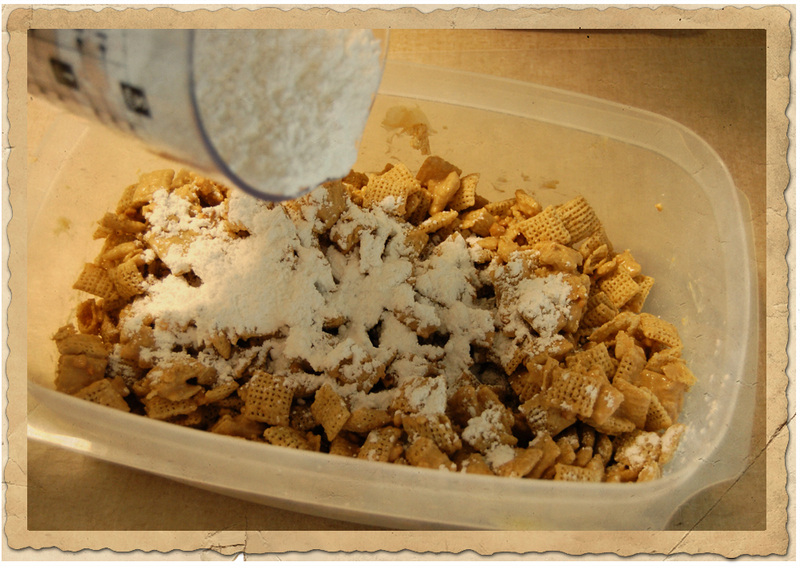 -Add cereal mix to a large plastic bowl with top or to a large Ziploc bag. Add powdered sugar, seal, and shake well. 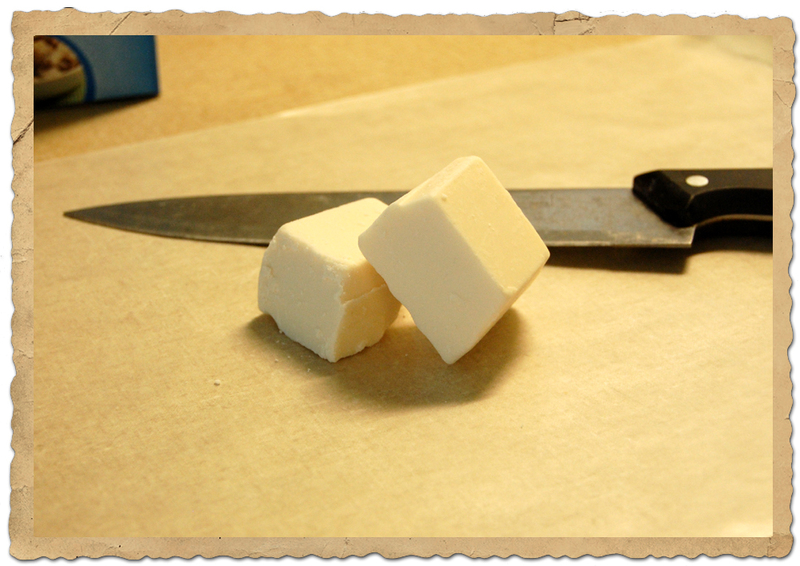 -Spread mixture out on some waxed paper to let it cool. Store in an air tight container. 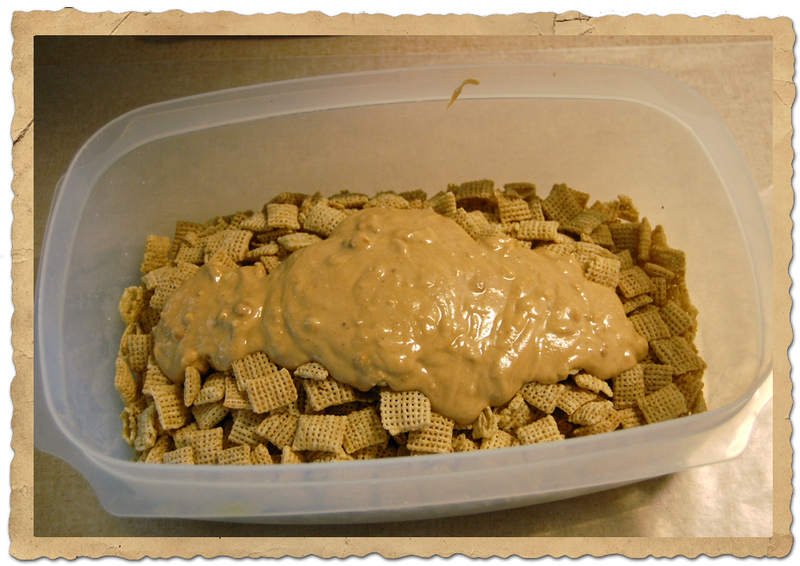 The Chex website gives instructions for using the microwave to melt your chocolate, pb, and butter together, but I'm not a fan of using the micro for melting chocolate. I like to have more control over my melting. 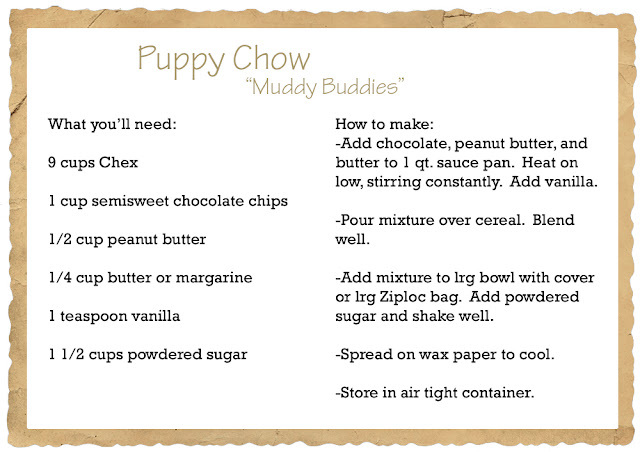 Click image to download recipe card for printing!